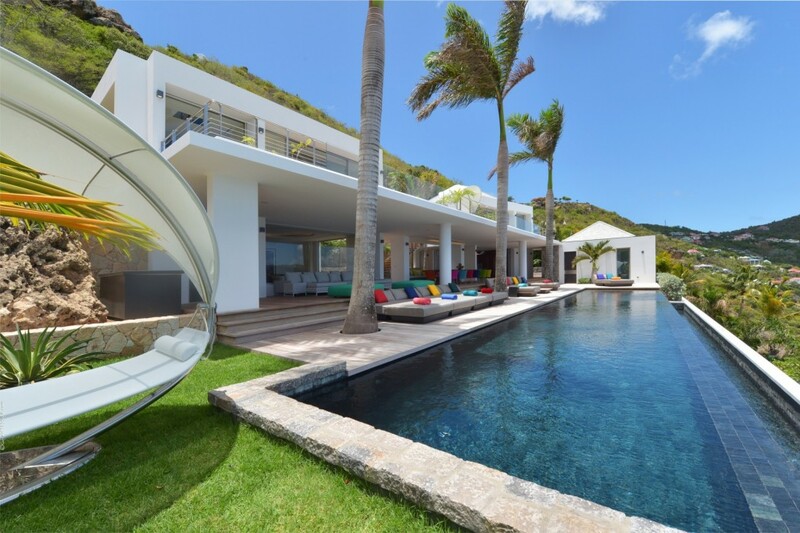 Travelers have long recognized St. Barts as one of the more cosmopolitan of all of the northern Caribbean islands. With its long history of French citizenry, it has a unique culture, and a more laid back and low-key pace than other islands in the region. The natural beauty of St. Barts has been well protected and it is also home to a massive marine reserve. Thus, visitors understand that they will experience tropical beauty and gorgeous scenery when paying a visit, and it can be best enjoyed from one of the private villas appearing in the best areas of the island. 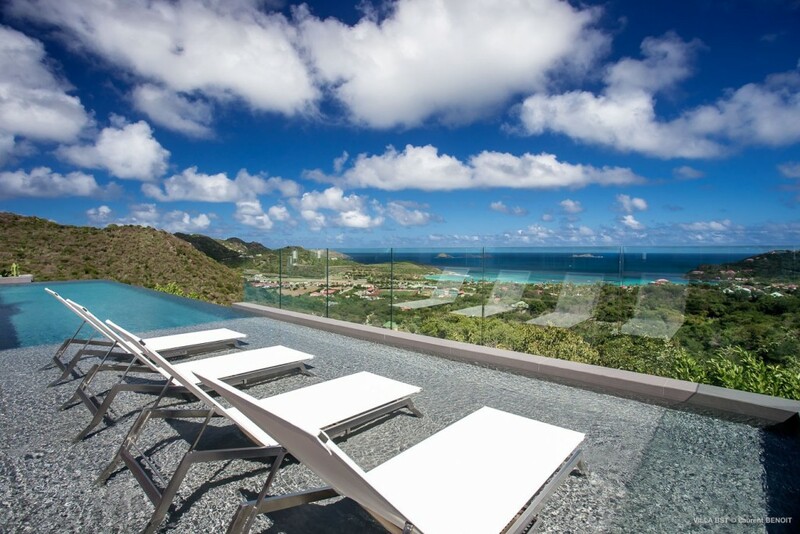 Currently, there are five new St Barts villas that really emphasize the setting and scenery, and we’d love to share the details with you. Three are in the hills of Lurin, meaning scenery to the north and west (ah, sunsets! ), and another is in the equally lovely hills of Corossol to the west of Lurin and with southern views along the coast. The final property is in the stunning Anse des Cayes area, with truly show-stopping views to the north as well as a private cove all its own. The villa Bastide is the first of the Lurin hilltop properties. With three bedrooms and truly stunning views of St. Jean Bay, it is a private island paradise. Balancing flawlessly designed interiors with a generous array of outdoor living spaces, it also uses enormous banks of glass doors and floor to ceiling windows to make the most of its setting. An infinity-edge pool, gorgeous and fully-furnished terrace, and sleek and contemporary style make it unforgettable. 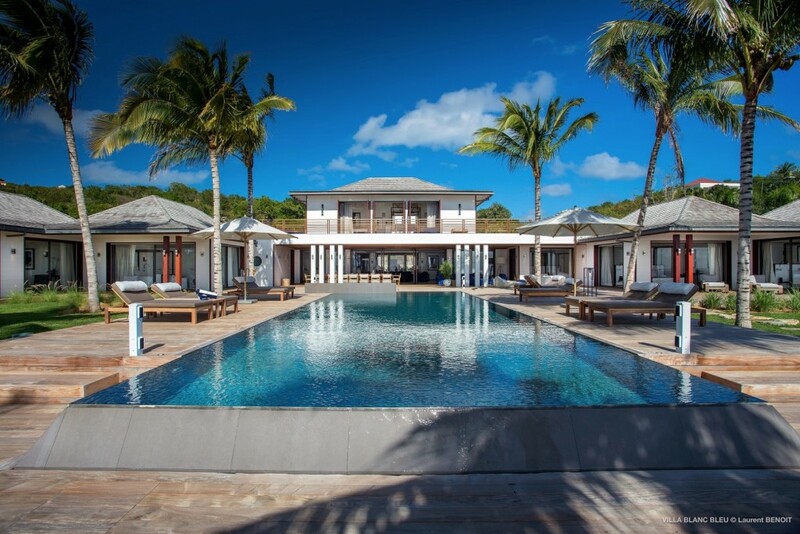 Another of the hilltop villas is Legends B, which is a larger, five-bedroom gem that perfectly balances contemporary design alongside classic island esthetics. A large, wooden pool terrace frames the infinity-edge pool that seems to spill into the flawless scene set out before you. Impressively furnished, the terrace area offers premium outdoor living, yet the interiors are a fabulous match. A fantastic esthetic abounds here and each bedroom emulates the style of one of the legendary fashion houses that gives this unforgettable villa its name. The largest of the Lurin hilltop hideaways is Maison Blanc Bleu, with six bedrooms, two stories and a stunning wealth of indoor and outdoor spaces. With its pagoda-like lines and uncluttered esthetic, this villa is a stunner. 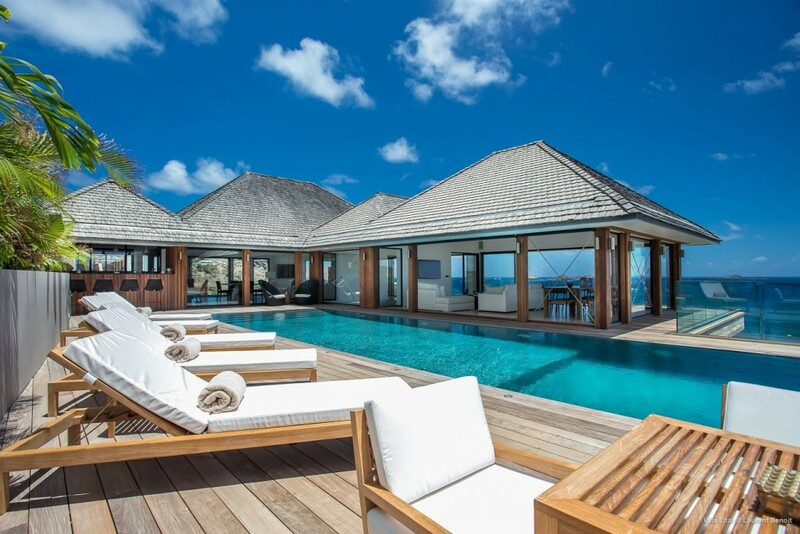 An expansive wooden terrace wraps the infinity edge pool as well as the villa itself, leading you fluidly from lounging area to dining niche and indoors, and even to a rooftop terrace. A bit west of the Lurin area is the Corossol region, and this is home to one of the more stunning of the new villas. The villa Utopic is a masterwork of contemporary design and it features a truly stunning art collection that is showcased throughout. The enormous, three-bedroom villa looks towards Gustavia and the beaches below, and offers scenery from almost every room. It is furnished in a way that coordinates with its sleek lines and its art, and features countless living spaces with some of the finest furnishings to ensure optimal comfort and enjoyment of the setting and the art. Heading north and east of Corossol you find the villa Lita, the largest of the new villas. With seven bedrooms, it rests on a ridge above Anse des Cayes beach and even features a private cove to enjoy. Water is the emphasis here, and the pavilion-styled structures seem to straddle space between the infinity-edge pool and the sea just below. Though contemporary in style, it is utterly welcoming and balances private and shared, indoor and outdoor spaces perfectly. 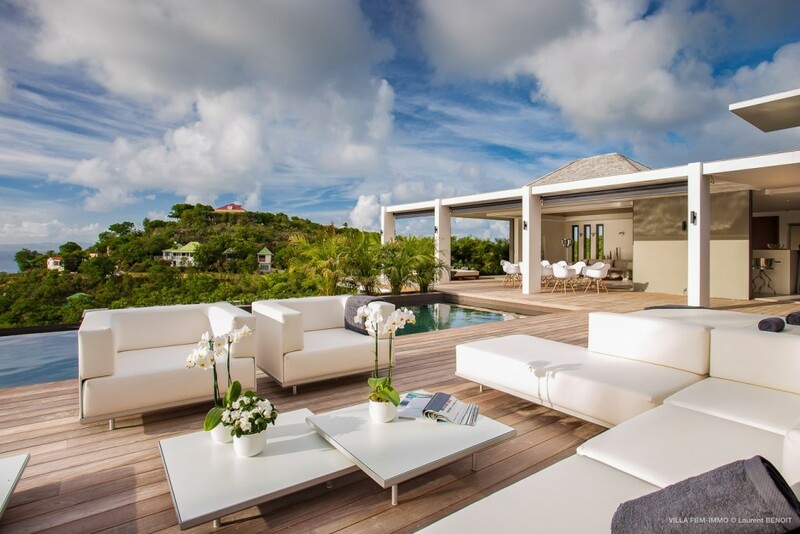 If you have been looking for some of the finest and hottest of the island’s newest villas, these are not to be missed.